In India, peanuts are known as Moongfali. 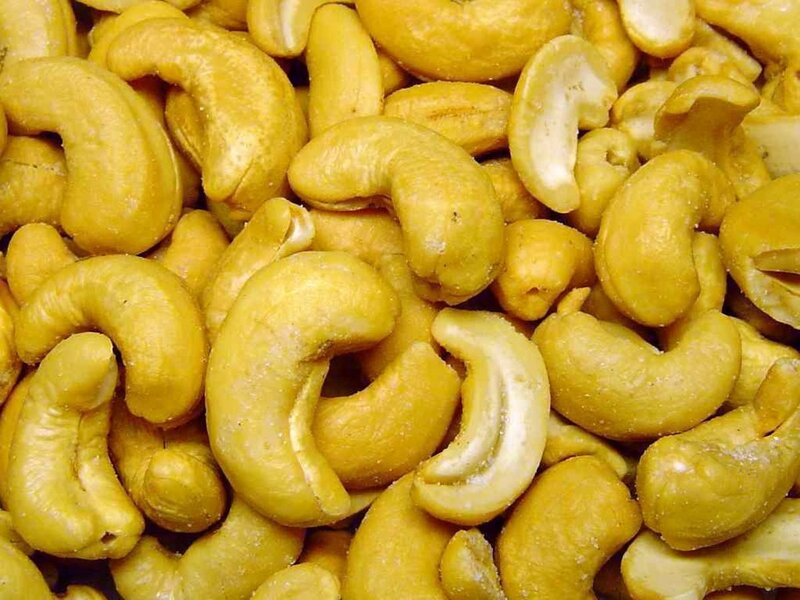 Some other names for peanuts are groundnuts, earthnuts, goober peas, monkey nuts, pig nuts and pygmy nuts. Peanut belong to the bean or legume family and is native to South America. 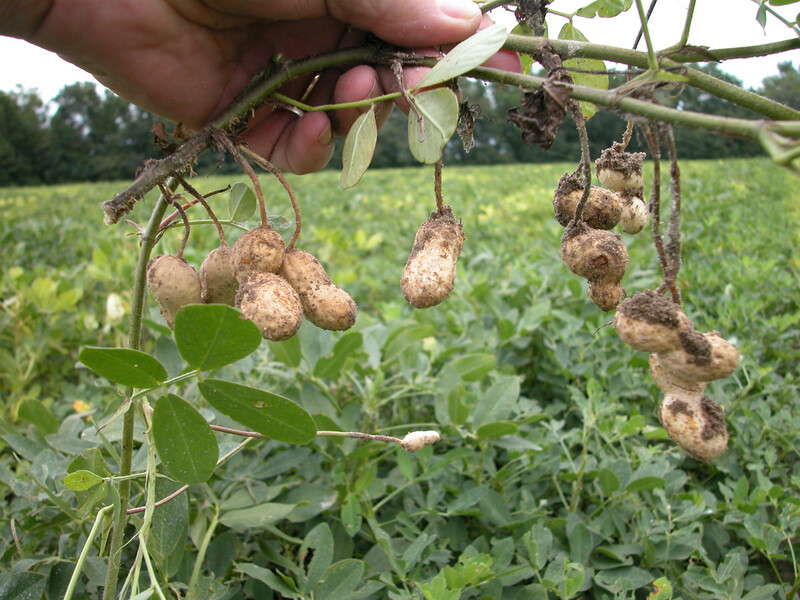 The plant is an annual herb and the peanut pods grow under the soil. Peanuts are the cheapest sources of high protein and energy. In fact, in India, at the price of an egg, peanuts can provide more protein and energy than what milk and egg together would provide. Peanuts can be used in a variety of ways. They can be eaten raw, boiled, roasted, salted, uesd in making of various dishes, peanut oil used in cooking can be extracted from them. Peanut butter is made by roasting and grinding peanuts to a paste. Peanuts are used in making candy and bakery products. Its oil is used in making cosmetics, paints, varnishes, dyes, furniture polish, lubricating oils etc. Peanut milk, a lactose free milk type of beverage is also made. 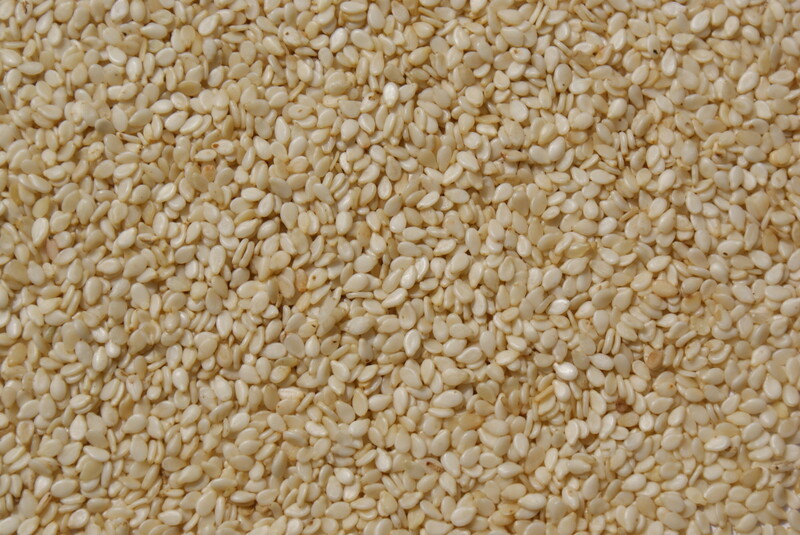 The peanut cake remaining after extraction or expelling of oil from peanuts is used in animal and poultry feeds. 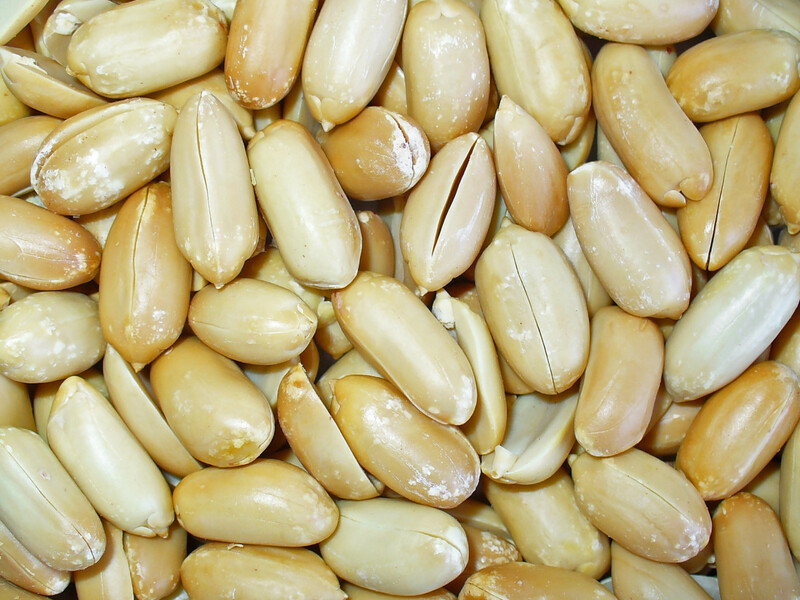 Peanut shells are used to make cellulose, mucilage, abrasives, plastic, etc. Peanuts are rich in energy and contain good levels of the mono unsaturated fats mainly oleic acid. They are a very good source of good protein. They contain excellent dietary fiber levels. Peanuts are highly dense in the poly phenolic antioxidant p-coumaric acid. They also contain excellent levels of resveratrol, another poly phenolic antioxidant, Vitamins E, thiamine, niacin, pantothenic acid, pyridoxine and folates. Good levels of potassium and very low levels of sodium. Excellent amounts of minerals like copper, iron ,manganes, magnesium, phosphorus, zinc and good amounts of calcium and selenium. Peanuts reduce the risk of heart disease due to the their excellent poly phenolic antioxidant profile as well as the mono unsaturated fatty acids they contain. 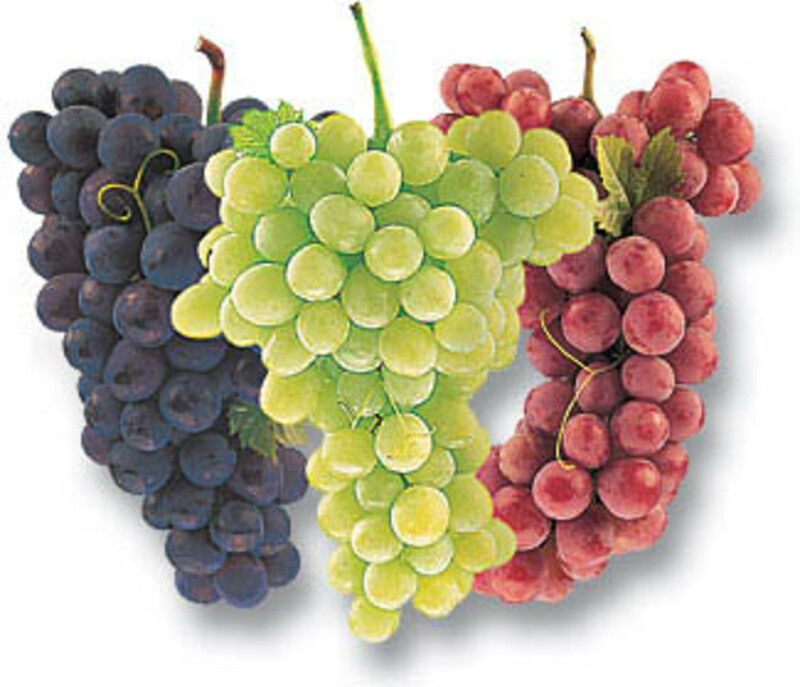 They are believed to reduce the risk of stroke due to their good resveratrol levels. Resveratrol improves blood flow to the brain. Animal studies on this aspect have been published in the Journal of Agricultural and Food chemistry. Peanuts reduce the risk of colon cancer due to the resveratrol, the phytosterols and other nutrients they contain. They enhance brain activity thus protecting against age related cognitive decline and Alzheimer's disease. Peanuts reduce cholesterol by virtue of their mono unsaturated fat content which is in a majority, as well as excellent fiber levels. They prevent formation of gall stones as well as reduce weight. Peanuts are a good source of protein for people with gout but only if consumed in small amounts. They contain fatty acids that have anti inflammatory properties. They are also low to moderate purine foods. Peanuts improve bone strength and reduce risk of osteoporosis, improve digestion. They improve milk production in breast feeding women. 1/4 cup of peanuts contain as much mono unsaturated fats as in a tbsp of olive oil. Roasting peanuts increased the p-coumaric acid content by as much as 22% as studies indicate. It also reduces toxin levels and also increases digestibility. The antioxidant content in roasted peanuts are at par with that found in strawberries and blackberries. Peanuts are not nuts but a legume. Allergic reactions like swelling of the lips and throat, abdominal pain, vomiting, breathing problems which may even cause death, may occur if you are allergic to peanuts. Peanuts contain good amounts of oxalates which can crystallize when they become concentrated in the body and lead to health issues, especially in people who suffer from kidney or gall bladder problems. Peanuts contain goitrogens, hence should be avoided by those with thyroid problems. Peanuts are susceptible to fungus, faster if they get moist, and produce aflatoxin when infected by fungi. 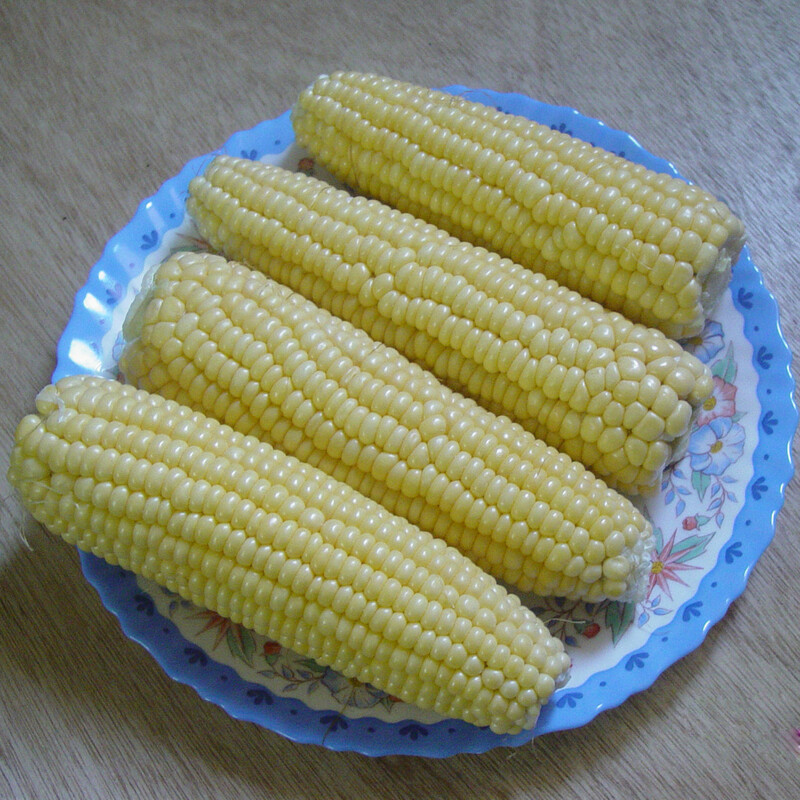 Aflatoxin not only reduces immunity levels but is a toxin and a carcinogen. I love peanuts and peanut butter! So yummy and healthy for you! Great hub! Voted up. @Heidi-thanks and they sure are a delight to eat. @DreamerMeg-I love peanut butter as well. The smooth taste and feel is heavenly. Thanks for stopping by. Now I know why I love peanut butter so much! 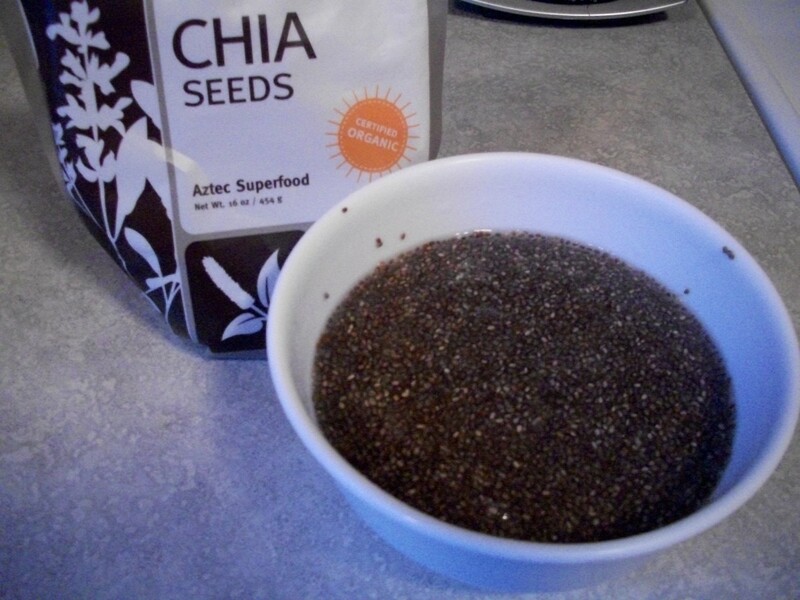 I eat a LOT of it, because I really enjoy it, now I know it's also good for me - even better! You had me at peanuts! Love 'em (along with cashews, almonds...). Good info! Voted up, useful & interesting! @subhas-glad you liked the information. Thanks. @Mary-thanks for the votes and I appreciate you visiting. @Paul-I'll be going to Hangzhou and Shanghai after sometime. I'll be here for about 2 months so I'd be thankful if you could mail me common everyday expressions by mail. Thanks for your good wishes and have a wonderful week. I'm glad to hear that you made it to China. Will you be going to any of the big cities like Shanghai or Beijing? How long will you be there? I have been very busy at school, so I really haven't had time to write a hub about tourism phrases. If you'd like, I could email some useful expressions immediately. Have a good time visiting your daughter. Nothing more common nor more eaten than the lowly peanut. Thank you for giving us all this good information about our friend the peanut. You always cover your subjects so well. Hi Rajan! With this article you have added another feather in your cap. I am simply amazed with the command of knowledge you have to commit with your article. I love boiled peanuts with a bit of salt added to the water. Thanks for the read, votes and sharing, Paul. In China right now, my friend. This is another awesome and very useful hub on the health benefits of peanuts. I have always enjoyed eating peanuts, and I can remember my parents planting them in our garden on the farm. Although I really enjoy eating roasted peanuts, I have also had them boiled and warm. I never realized there were so many benefits to eating peanuts. Voted up and sharing with followers and on Facebook. Also Pinning and Tweeting. Rosemary, thanks for coming by to read and support. I love the tatse of peanuts, use a lot of peanut butter and oil too. I didn't realise they were legumes though so I learned something new. Thanks for sharing this information moonlake. Appreciate the visit. My husband eats peanuts everyday. My grandparents use to grow them in the garden. Voted up and more. @ Brett - Glad you got the info you were looking for. Appreciate the sharing and visit. @ Debby - Glad you liked the info. Thanks. @ Kathryn - peanuts and peanut brittle are a great favorite with people in India. Especially in winter it is a good source of energy and nutrients. I love peanuts, and I like the recipe videos you posted on the Hub. Peanut brittle reminds me of Christmas, because it used to be one of the treats we would get for the holidays when I was a kid. Another useful hub. I was thinking how my breakfast of peanut butter on toast with banana slices was now feeling very healthy. Then, at the end of your hub I was happy to find the recipe for making peanut butter. Shared, up, useful and tweeting. Thanks for reading and leaving your comments Indian Chef. @ Aurelio - Roasted and unsalted are the best. Thanks for the visit. @ Girish - I absolutely agree with you. It is a great, healthy pass time. Thanks. Rajan, I love peanuts, the best dry fruit available in India, the best nutrition and the best pass time, specially in these days, very useful hub, God bless. I prefer mine roasted and unsalted, or in a peanut butter. Glad to hear of its many health benefits. Voting this Up and Useful. Ratnaveera, thanks for your input. Of course, peanuts are much loved by most people. @ aj - interesting to know that one can make fresh peanut butter at some stores and take it home. It can't get fresher than that. Thanks for this news. Appreciate it very much. @ Kasman - thank you my friend for the visit and compliments. As someone who eats peanuts pretty much daily, there were a few things in here I didn't know. My wife will be happy to know about the breastfeeding tip for example, it may increase her consumption when she gets pregnant! Rajan you are a health scholar sir, thank you for making my healthy habit that much more enjoyable! Voting up. I agree Sue! A lot of people suffer from peanut allergies. Ranjan they are not allowed to because of peanut allergies. Many children are allergic to peanuts nowadays. Probably from the way they are processed. Thank you so much for this Great Hub on Peanuts! I am an addict to its taste and smell. I had thought that it has some fat and it may spoil our health. After reading its health benefits, I have come out of fear to eat peanuts. Peanutsburfi is my most favorite snack and its available everywhere in India. I believe that that is the most delicious and also the nutritious sweet. Photos and Videos are amazing! Thanks again for this wonderful hub on groundnuts or peanuts! rajan jolly. Voted Up! @ Patricia - peanuts are very versatile in the variety of uses it has. Thanks for stopping by. @ Audrey - sorry to learn about that. Roasting does remove most of the goitrogenic effect of peanuts, so may be your doctor didn't alert you about peanut butter consumption since it contains roasted peanuts. I wanted to put in a caution though. Thanks for reading. @ CarNoobz - peanut butter is just awesome and the flavor divine. Thanks for the visit. @ Rasma - peanuts in any form tastes terrific. Thanks for the visit and share. @ Thelma - sorry to learn that. Also, drinking water immediately after eating peanuts produces coughing. Glad to know you found useful info in the hub. Thanks for sharing. @ kingkos - thank you. @ Mahavir - seengdana is certainly a favorite. Thanks for the share too. @ Cyndi - peanuts in my country are mostly eaten alone as a snack to munch on though they are used in many other snacks and dishes too. Thanks for coming by. @ Devika - As children chana-seeng- kurmura, a mix of roasted black gram, peanuts and puffed rice was our favorite and we'd buy it daily from street vendors. Certainly miss those days! Thanks for stopping by. @ Arun - glad it was informative to you. Thanks for sparing time to read. @ Chitrangada - absolutely a favorite with most people as I can see from the comments. Thanks for reading and commenting. @ John - thanks and many people take it as a accompaniment to drinks, here too. @ Danson - thanks for your input and a pleasure to see you. @ Sueswan - I wonder why children are not allowed to do so! Thanks for this info and coming by and sharing. Here in Canada children are not allowed to bring any peanut products to school. I usual take peanuts when i feel i might need long working energy especially on a busy day. Peanuts provides a lot of energy and thanks for highlighting the other benefits here like reduction on heart disease risk. Voted up, useful and more. Love peanuts! Especially with a gin and tonic! Up and interesting. Very nice and and well written hub. We in India consume it almost everyday, but a very informative hub about peanuts for people outside India. They are my favorites in any form. It contains substantial niacin which contributes to brain health by helping blood flow to the brain. Thank you for such vital information. Awesome stuff here, I enjoy eating peanuts and I know more now of the actual benefits from you. Thanks for improving my knowledge of the healthy snack in moderation. Peanut butter is a wonderful snack or as a sandwich at lunch. Peanuts alone are great when you're on the go and want to grab something nutritious to munch on when you are in the car. They are so much healthier than eating potato chips or the other usual "munchy" type of foods we might to apt to reach for. There are also wonderful dishes that have peanuts as part of the main ingredients. However, I didn't realize they originated in South America. It would be interesting to know how they were introduced to Asia. One of America's great African American early scientists, George Washington Carver, experimented with peanuts in the 1930s and found many uses for the wonderful legume. Thanks for providing all the great nutritional facts about peanuts. Voted Up. Again you have written a great article on my favorite nuts. Thanks. Voted up and shared with followers. I gonna buy peanut outside im hungry, Because I see your hub... Vote you up. I love peanuts. It´s only sad to say that I must always be careful with eating peanuts because every time I eat them, I cough so much and my throat itch. I´m not allergy to peanuts but to molds and fungus that I suffer from asthma attack after eating them. Thanks for this informative hub. Voted up and shared. Thanks for this informative and interesting hub. I love peanuts and it was great to read up on some of the health benefits I didn't know. Peanut butter cookies are a favorite. Passing this on. Well, I never realized peanuts were so good for you. I've always loved peanut butter: in sandwiches, in ice cream, with chocolate, and with hot noodles (yum!). I am sad to learn that I must avoid peanuts (peanut butter) due to my thyroid. I didn't know that. Wonder why my doctor failed to alert me. I love peanut butter (organic) and have been treating myself to a teaspoon now and then. Great hub rajan and voted up and more! So many reasons to enjoy this food that is so versatile. You have covered this so well. I love boiled peanuts the best..no, wait...peanut brittle is yummy too...and peanut butter pie...O, my...anyway ..love the peanuts. Thanks for sharing, rajan jolly. @ Thanks Harsha. Chikki is one of my favorites too. @ Carol - Peanuts in my country are a favorite and many roadside vendors sell them here. Thanks for stopping by. @ Funom -thank you for visiting. @ Rebecca - Unsalted and roasted peanuts are the best though the fresh peanuts boiled or unboiled taste awesome too. Thanks for all the votes. Good thing for me! I eat a LOT of peanuts. The roasted, no salt kind. You see, I quit smoking 3 years ago. And I found that the shelling and eating of the roasted peanuts helped to cut down on the cravings. I basically replaced one habit with another! Thanks, Rajan! + voted and all that. Love peanuts and peanut butter. Lots of useful information here to go in my healthy archives. I need to go out and buy some right now...They sound so good. Voting up and sharing.